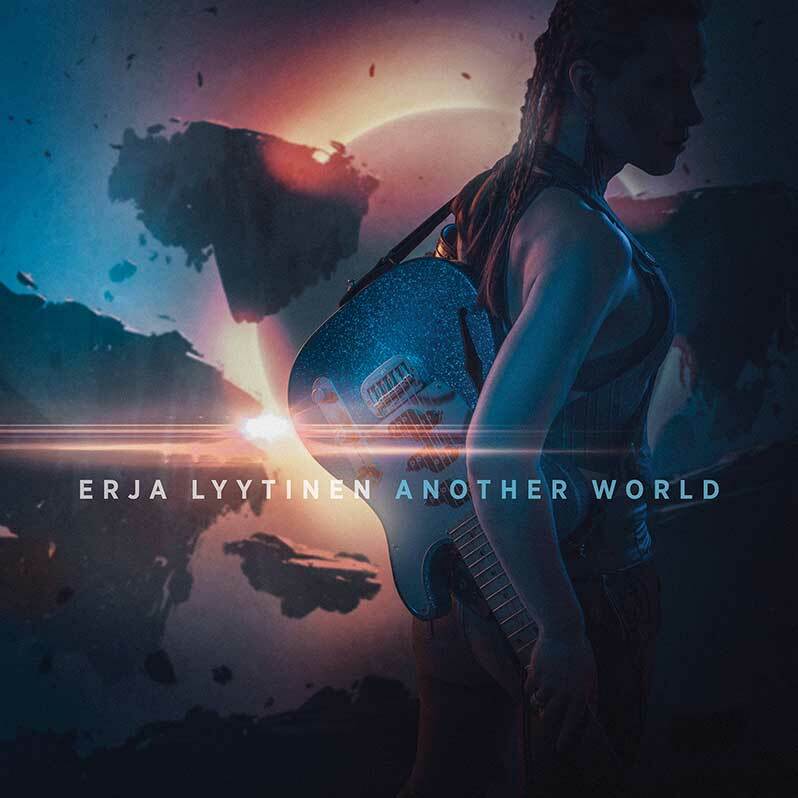 Erja Lyytinen once again brings her guitar magic to Another World follow up album to her superb Stolen Heart. I ‘discovered’ the blues after researching the inspirations that influenced the songs of the rock bands I hold dear, and I couldn’t help but fall madly in love with the rawness, honesty and beauty of the blues of the 1920s through to the 60s. It after I started to collect them that I realised that lines such as “squeeze my lemons ‘til the juice runs down my leg” actually came from a Robert Johnson song from 1927 and that many of the riffs I thought unique had their genesis clearly in the blues. This also meant that I started to collect the modern equivalents of these seminal composers; it seems I am not alone, as the industry has seen a new ‘blues boom’ with the likes of Joe Bonamassa bringing it to a wider audience, and the deserved resurgence of the ‘old guard’, such as Buddy Guy and the ever-present Eric Clapton. More and more new talents and born-again bluesmen also began to appear and I lapped them up. I then discovered another aspect that appealed to my sense of fairness, belief and yes, libido; What, I hear you cry, is he going on about now…well, the upsurge in truly talented female guitarists has been astonishing. Rest assured however that the quality of playing and compositional skills was the reason I bought all of her albums as well as those of what could be described as a new wave of female guitarists including, amongst the heartening many, Ana Popovic, Samantha Fish, Tal Wilkenfeld, Joanne Shaw Taylor, Orianthe, Eliana Cargnelutti and the wonderful Erja Lyytinen. First of all, let’s get the name sorted…it’s pronounced Ehr-yah (and is the Finnish equivalent of Irene, in case you wondered). She picked up the guitar at age fifteen and went on to study music in various academies, which culminated in her being awarded a Master of Music Degree…not so shabby! I actually found out about her and her music via the Blues Caravan Tour that Ruf Records organised with Aynsley Lister and Ian Parker alongside. August company indeed, that she more than matched and brought a new dimension to blues interpretations and originals: on the strength of that tour and the subsequent album, I sought out all of her work…not easy as I could only find her debut (Attention!) and second and third albums (Wildflower, It’s A Blessing) from a site in Finland, without an English translation option! I persevered and got them, loved them and have bought everything since… Dreamland Blues, Grip Of The Blues, Voracious Love, Songs From The Road, Forbidden Fruit, the wonderful tribute to Elmore James that was The Sky Is Crying, Stolen Hearts and the live at the 100 Club CD. Now we have her latest release, Another World, and the first thing you will notice is that her predominately slide approach (Erja’s not known as “The Queen of Slide” for nothing) has largely been parked and, instead, she has gone for a more weighty, blues-rock style of attack on her beautiful array of guitars. This is not necessarily a bad thing as she has recruited the majestic slide of Sonny Landreth on a couple of tracks…in addition, whenever I have listened to, or seen her live, she is more than capable of playing stinging chords and solos without a bottleneck in sight. She is also very adept at reworking other compositions…listen to all of The Sky Is Crying or the simply superb cover of Lil’ Johnson’s double entendre laden 1936 song, Press My Button or the remarkable revision of a naff track…forget Tina, listen to Erja covering Steamy Windows for a real treat. Onto the new music then, and the opening track Snake In The Grass, is a great start with the hefty blues-rock riff, the stop-start rhythm, the plectrum run down the strings and a guitar harmony, bordering on guitar argument, with the lovely Jennifer Batten to add to a powerful song. There are few Celtic patterns woven through the riff and Erja’s vocals, which may take some getting used to if you are new to this gorgeous lady but take it from me, once you are attuned, they are better than a hell of a lot of others. It does devolve into a little touch of pop in the choruses, but remains strong enough to carry it off. Cherry Overdrive has a riff that, backed with that swirling B3 and cowbell, could grace many a quality heavy rock album. The solo arrives after a sweet vocal bridge and although restrained the sheer skill of the way Erja deploys the bottleneck is a delight to hear. Then she even adds clever tremolo to sound like Jeff Beck is guesting too…he isn’t! Title track, Another World, has a heavy start and goes light behind the lyrical lyrics but returns to that riff and develops it into another class guitar/B3 rock sound, but always relieved by the lighter backing to verse and chorus…then the solo is true rock with the subtle use of the wah pedal. The dénouement chugs to a different riff and nearly turns all prog. A bit more prog of a different hue appears on Hard As Stone as the intro is almost pure Rush…in a good way. The ‘hesitant’ solo has bends and runs played with purposeful discord at times and then some wah, all of which combine to form something really special. Wedding Day has rapid-fire snare behind some trademark delicious slide from Sonny Landreth as the lyrics tell a sardonic tale of romance. The slide throughout from both players is just brilliant. Miracle shows her Jeff Beck influence again as the use of the tremolo arm is clever and tasty. The basic riff remains in the blues-rock mode, but with quiet, careful chord work behind the vocal passages. Don’t despair though, after a short and simple picked chord or three, the solo cuts in and you will shiver as the Jeff style weaves through a truly original and effective piece of playing. Torn is a tune of shifting time signatures and a touch of Celtic again…due, in part, to Erja contributing some neat violin touches. Although veering a bit toward soul-pop it still has a reward for the ears if you listen to the clever instrumentation behind the vocals and, of course, the solo is inventive (but short). The only true ballad is next and the hurt in the lyrics is tangible. Break My Heart Gently is welcomed with some lovely toned acoustic and breathy vocals. Landreth is back and injects as much feeling into one note as the lyrics do with words. The slide duet makes this worth a listen even if it doesn’t get the blood pounding like the others; it does get the heartstrings vibrating in time with those bottlenecks. Final track, Without You, was a single from a month or so back and has a reggae-ish lilt that I was almost going to dismiss as ‘fluff’, but then the major chords hit with the B3 again and the intro to the solo from Erja is phased somehow but still gets the message across with the B3 aligned to every note… then the solo proper has the guitar stinging with every sparse note. That redeemed it: and how! A special mention to the entire band too: the standard is very high indeed and puts the right emphasis or subtlety in all of the right places with skill and empathy. In summary then, this is an album of skill, dexterity and sufficient variation that it will never wear thin. OK, it may be more rock than we are used to from Erja but with songs of this calibre I, for one, am not complaining. I have loved this lady for a few years now and, on the strength of this one, it continues to grow…I only wish that I hadn’t been such a shy fanboy (OK I may be (just) over sixty, but I am still a shy fanoldman!) and that I had introduced myself to her and got her to sign all of my CD inserts when she did a couple of dates in Somerset….still, I have what matters, and that is the music.